After a week of upsets, ESL One Katowice ended in a one-sided rout. It was only last fall that Russia's storied Virtus.pro side finally won its first Major. 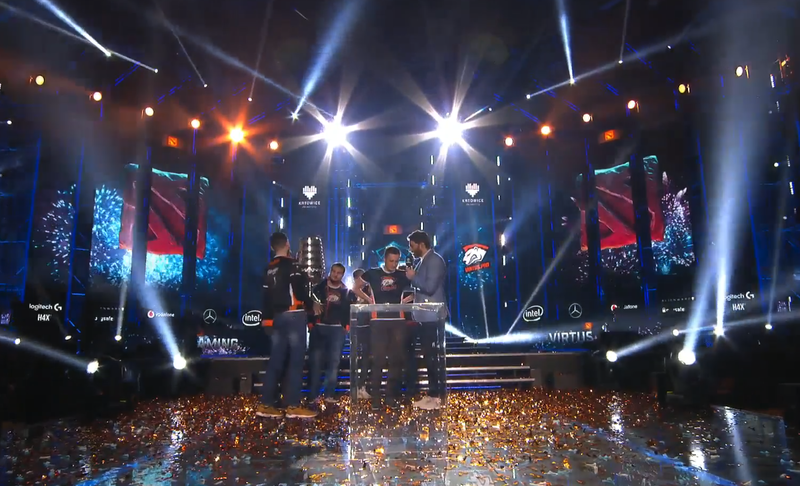 Just four months later they have somehow managed to continue that streak and become back-to-back ESL One winners. While the Group A finals earlier in the week saw the team struggle but ultimately fail in two very long matches against Vici Gaming, when the two sides met in the grand finals Virtus.pro managed to make short work of their Chinese counterparts, conclusively winning three out of four matches with the longest of them only going 33 minutes. RodjER comes from the top right to stun two opponents and dish out damage helping to secure the team fight. Vladimir "RodjER" Nikogosyan, who came on at the beginning of the month to replace Ilya "Lil" Ilyuk was certainly partly responsible for Virtus.pro's continued success this week. The support player landed crucial stuns in significant fights to help secure the first two wins and helped close out the series in a commanding finish as the healer Chen. Virtus Pro had excellent sustain power as a result in game four and so were able to keep up the press and never quite allow Vici the space or time needed to pull themselves back from the edge. "Everyone of my team mates deserves this trophy." RodjER took home MVP of the tournament, thoroughly silencing any remaining questions about the value of his signing. 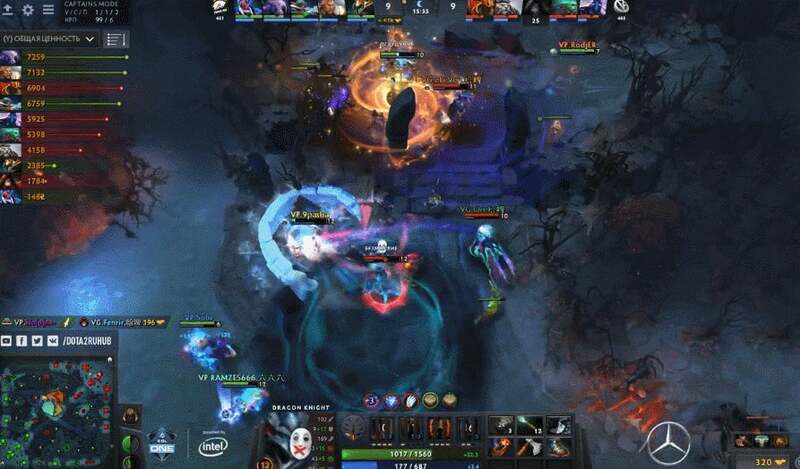 For its part, the team as a whole took home $US400,000 ($510,269) from the prize pool and earned 750 more Dota Pro Circuit points, cementing their position at the top of the table with 4,950 total. You can watch catch an eventual re-broadcast and VODs for the tournament over on ESL One's Twitch channel or catch it over on Facebook. Agreed! It's not like we could stay up to watch the finals so at least give it a day or 2 before posting spoilers in titles. Better yet, DON'T!